In today’s music economy the path to success remains murky at best. One thing is fairly clear though – your relationship with your fans matters. In today’s hyper-connected speed of sound world of the interwebs information and rumors travel rapidly, opinions form and pretty soon you are no longer in control of your own message. If the “and the Nocturnals” portion of Grace Potter is finished, and all information we presently have says it is, I would hope that Grace would let fans know something about it. Personally, I’m not interested in critiquing artistic, musical or career choices for other people. Business is business and art is art. We can have opinions, enjoy or dislike things but if the art comes from a place of honesty then I always appreciate the maker. What I am critiquing is the lack of attention paid to the relationships Grace Potter and the Nocturnals have built – over a decade. Relationships that are not being cared for. Many folks I know have spent countless hours – countless – investing emotion, time and dollars in to GPN. Hey, we were rewarded for all that. No debts owed, paid in full. But now we find ourselves on the threshold of change – and the fans, those who spread the word, drove for hours, wrote reviews, told their friends and dragged them to shows, posted endless crap on blogs are, well – how to say it – it feels like they don’t matter so much. I won’t speak to the relationships between bandmates because it’s neither any of my business nor is it something I know anything about. Speculation is for the reachers, the curious, it’s all ignition and no fire. Maybe “The Nocturnals” will come back, maybe Grace needs to do the solo thing for awhile. Maybe “The Nocturnals” are all done, whatever. Go for it Grace! Totally go for it! As someone once said “Make it do what it do!” But maybe reach out a little bit, look outward. We’re listening. No one in the public eye “owes” anyone an explanation, maybe the attention is not something anyone wants but here it is. It’s real. What’s next? We’ll have more to say on this later on, mostly to the tune of “You Go Girl!” along with overly dramatic and sensitive nostalgia for something that may or may not be finished but . 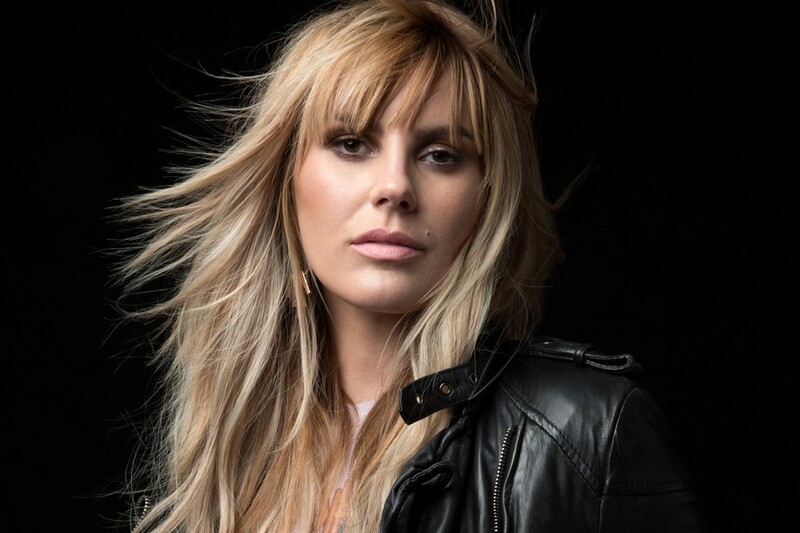 . .
Mountain Jam still lists the show as “Grace Potter and the Nocturnals” – is this true? We’d like to know more about the new record “Midnight” – specifically, who are the players? Will Grace be seriously playing “solo” or will we be seeing #GraceAndMatt or #GraceAndMattAndOthers? I will not be going out on tour in support of the solo album. At this time I can’t comment any further on anything except to say THANK YOU for all the support you have shown the band and me over the years. It has been a tremendous ride and meant the world to me. I sincerely mean that. THANK YOU. THANK YOU. THANK YOU. Grand Point North tickets on sale with NO other announced acts? Are we in a rush? This feels weird. If you need a spot to test drive the new lineup/music/songs you know who to talk to, right! I MEAN RIGHT? The longest running site supporting your career is once again no longer on the PR mailing list. Who do we have to call? The fastest girl in town, indeed. Miranda Lambert was in such a hurry to launch her new Certified Platinum Tour that she did it two days early with a last-minute show Tuesday night at Nashville’s Exit/In. She announced the free show via Twitter three hours before the doors opened and fans started to line up immediately. On January 2nd, 2012 journalists across New York received an invitation to a mysterious Van Halen event at New York’s Cafe Wha?, a basement club in Greenwich Village that seats a mere 250 people. It was initially thought to be a press conference announcing their first album with David Lee Roth since 1984, but soon enough word leaked out that Van Halen would actually be performing. The Rolling Stones hit L.A. last night with a surprise show in a tiny venue. The band announced on Twitter yesterday that they would be playing at the EchoPlex, an indie club in Echo Park that holds just 700 people. Tickets, at $20 a person, went on sale at 1 p.m. at the El Rey Theatre, just 30 minutes after the announcement went out, and were assigned by a random lottery among the 2,000 people who showed up to claim them. Call me, I can hook it up. This show was a benefit for a small school in Vermont. It really brought home the power of music, community and giving that has been one of the driving forces of my life for the last few years. Few people lived that spirit as well as her. Am I stoned right now? 1:15 – 1:20 seems to indicate, yes.